Fitness For The Rest of Us: RoomLookz: Everything You Need to Create a Room for your Tween That is All Her Own! 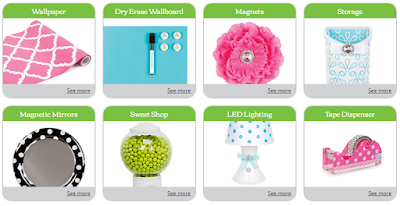 RoomLookz: Everything You Need to Create a Room for your Tween That is All Her Own! Looking for the perfect gift for your tween or young lady? Look no further than RoomLookz. They offer super cute coordinating wall decor, magnets, storage solutions, desktop accessories, lighting and more! I had the absolute pleasure of reviewing a few of their items and they were a huge hit with both my niece & with me! I love them because of their functionality and she loves them because they are super cute. 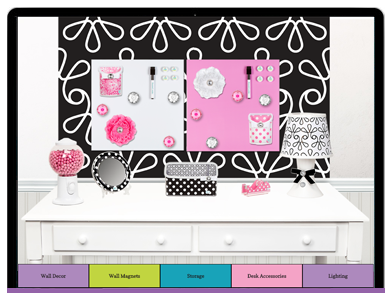 She is 9 and the items she chose were the candy dispenser, the Tabletop Caddy, and the Magnetic Dry Erase Wallboard. Their items come in cute bold & bright schemes in all the latest colors and they all coordinate so you can easily jazz up an entire room all on the RoomLookz website. Keep reading to learn more. The holidays are right around the corner- start your shopping early! 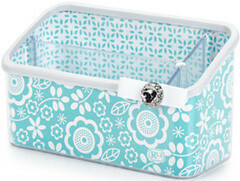 Express yourself with high fashion bedroom décor from the makers of LockerLookz. Their bedroom decorations and accessories make it easy to create a space that is uniquely you. RoomLookz lets you further express yourself through new mix-and-match collections of wall décor, wall accessories, storage, desk accessories, and lighting. The whiteboard is magnetic and they offer a fun line of coordinating magnets as well. One of my favorite things about the RoomLookz line is all the items help with organization -which all 3 of my nieces can use! The whiteboard allows everyone to write fun notes to each other and its magnetic so they can hang notes or pictures or even homework reminders right on the board. The caddies hold all of their pens, pencils, and more! The candy dispenser is of course, just for fun and you will find the whole family sneaking in for some of the chocolately goodness. RoomLookz also sells refills of the candies so your dispenser will never be empty. The website is super easy to use; everything you need to create a room that is all your own is just a click away. They even have a "design your room" feature where you can mix & match, add & remove and shift around their accessories to see how the look will come out before buying. Its a great way to see what will fit and what looks good together. Give it a try. The holidays are quickly upon us and RoomLookz offers all of the stylish, fun, and organizational pieces your tween & teen needs to get their room looking fabulous!